Hino has embarked on an ambitious strategy to become the No. 1 truck brand in South Africa by 2020. The bold plan was spelled out at a recent media briefing and new model launch at the Gerotek test track, west of Pretoria, by Ernie Trautmann, the Vice President of Hino SA. 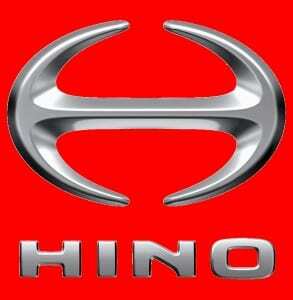 At present Hino is the No. 3 brand in SA behind Mercedes-Benz and Isuzu. Trautmann was backed up by internationally acclaimed management philosopher M.K.Angajan, who came to SA from India 10 years ago and is now based in KwaZulu-Natal. Angajan gave an absorbing presentation of the value systems he believes are required for success in a project such as Hino’s Vision 2020. Meanwhile Trautmann said Hino sales had jumped 17.6% in the first half of 2015 from 1 653 units in the first half of 2014 to 1 944 units between January and June this year. He did caution though that a major reason for the lower sales a year ago was the fact that the move to the new factory in Prospecton, near Durban, at the beginning of 2014 had resulted in a stock shortage as the plant built up to the required production levels. The new factory is now running smoothly and has a single shift capacity of 5 000 units a year. Trautmann says he is confident of selling about 2 200 units in the second half of 2015 to lift the annual sales total to more than 4 000 units for the first time. Hino SA is currently in the 9th position among countries outside Japan in terms of sales after the first six months of 2015, with the countries ahead of the SA operation being Indonesia, Thailand, the United States, Vietnam, Taiwan, Malaysia, Australia and Ecuador. The Hino senior executive said that the company’s forecast for the overall SA truck and bus market in 2015 is that it will be in the region of 31 000 units, which is slightly below the 2014 figure. Although overall sales in the second half of the year are projected to be better than the first six months it is expected there will be a stock build up towards the end of the year which will increase competition in an already tough market. He explained that the electricity shortage was a major challenge for the truck industry. It is having a negative effect on bodybuilders, while the Hino plant management has to balance the energy situation very carefully. Trautmann said that he and his team are laying great store by the arrival of new models between now and 2020 to boost sales; first arrival will be a new 500 Series and then a new 700 Series will be introduced. The Hino Vice President explained that Hino Motors Japan was making special efforts to ensure the new 700 Series will be even more competitive in the local Extra Heavy segment than the current model. A recent local evaluation of the long distance transport situation in SA by Yoshihiko Watanabe, the 700 series Chief Engineer from Hino Japan had included driving from Johannesburg to Durban, stopping at all the truck stops as well as monitoring all the Extra Heavy trucks coming from the front, where the total was 1 221 trucks in the six-hour drive! Hino is expecting to sell more than 500 Extra Heavy trucks in the 2015 calendar year and then plans to grow the annual total by an incremental 100 units a year until the arrival of the new 700 Series model which will provide added impetus to sales in this important segment. Trautmann explained at the media briefing that Hino SA was not going to get involved in the local coach market despite the fact that Hino is a leading supplier of luxury buses in the Japanese domestic market. “The local bus market is comparatively small and does not warrant the significant investment to assemble and sell Hino buses here. However, Hino is a major player in the conversion of truck chassis to buses and last year we sold about 800 of these units, mainly of the commuter type,” added Trautmann. Besides new products there are other projects which will contribute to Hino’s sales growth. One of these is the future appointment of a dedicated person to handle Hino truck financing at Toyota Financial Services. This facility is proving very popular and already accounts for 20% of Hino sales through the dealers. This financial services tie-up will also facilitate buy-backs which will boost sales further. Hino SA is looking at establishing a Hino used tuck operation in conjunction with the dealers within the next 2-3 years, but one problem, says Trautmann, is getting used Hino stock, because fleet operators often sell these units themselves instead of trading them in. Vision 2020 requires major focus on further strengthening the dealers. Currently there are 65 dealers of which 21 are exclusive truck dealers while the others also offer Toyota passenger cars and LCVs. Fifty-one of the Hino dealers are 3S (Sales Service and Spare parts) dealers and the other 13 are 2S (Service and Spare parts) facilities. Hino SA is already the overall leader in the latest Scott Byers Comparative Customer Experience research as well as being No. 1 in Parts, No. 2 in Service and No. 2 in Sales. The target now is for Hino to consistently score more than 96.5% in all three sectors as well as being No.1 in all sectors too, while retaining the leading overall position. Hino SA also came out with the second highest rating from its dealer network in the latest National Automobile Dealers’ Association (NADA) truck dealer satisfaction survey. For this Hino received the “Most Improved” award in the commercial vehicle category and it was a marked improvement over the situation a few years ago. A major driver in Vision 2020 is the Hino Total Support programme which was launched in SA last year. This consists of having the right fit products, top line after sales back-up and a focus on customer-oriented activities. One of the latter initiatives will be a national customer day at Gerotek in September where all three ranges in the Hino line-up will be exposed to the customers. Six similar Hino Experience events will be staged for the national dealer network at the same venue in August. Hino Total Support has resulted in a restructuring of the Hino staff at the head office in Sandton as well as at the regional offices while a major effort is under way to further improve parts supply, which is already running at an average of 96% availability over the past six months. Parts pricing competiveness is being improved too and the prices of a number of strategic parts have been repositioned and this programme is already bearing fruit. The roadside assistance programme has been improved with closer ties between Hino SA and the dealers while a guarantee by Hino SA that it will pay for the services rendered if the driver of the vehicle is unable to sort out payment. “Welcome To” and “Welcome Back” Sales programmes have been instituted with dealers and so far 360 new buyers of Hino trucks and 46 customers who have not bought a Hino in the past five years have been involved in this project. There is also a “Bring it Back” Service Centre programme whereby Hino SA will pay for the Certificate of Fitness test and the dealer will provide a quote to fix any shortcomings and the refund will apply even if the customer decides not to use the dealer for the repair work. “We realise that our Vision 2020 is a huge challenge, but we believe the programmes in place and new ones we are developing will ensure we reach our objective in the five-year time span,” concluded Ernie Trautmann.